Home Funny 15 Worst Online Shopping Fails You Bet You Might Have Experienced Once! 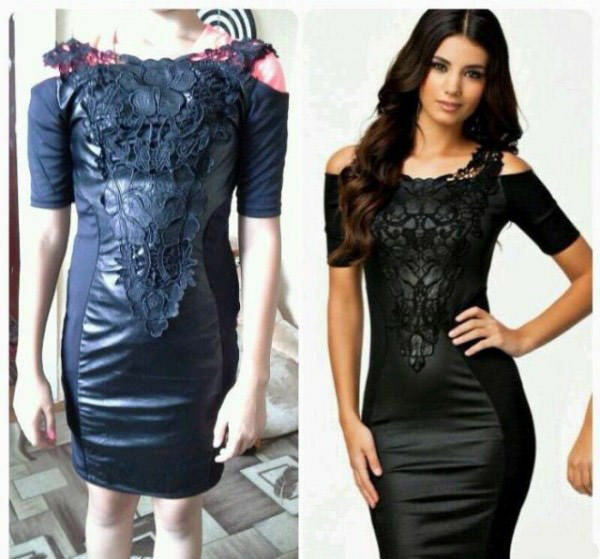 The saying, if its too good to be true its likely it isn’t, goes when it comes to these online shopping fails. 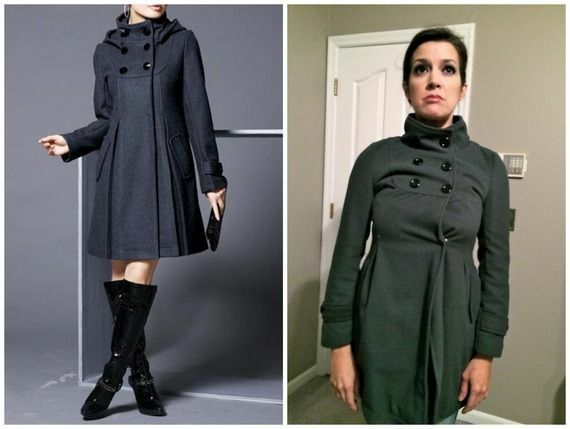 It is always a risk buying clothing online as you have the risk it might not fit but when you think you’re getting a great bargain, think again as these poor customers feel example to this! 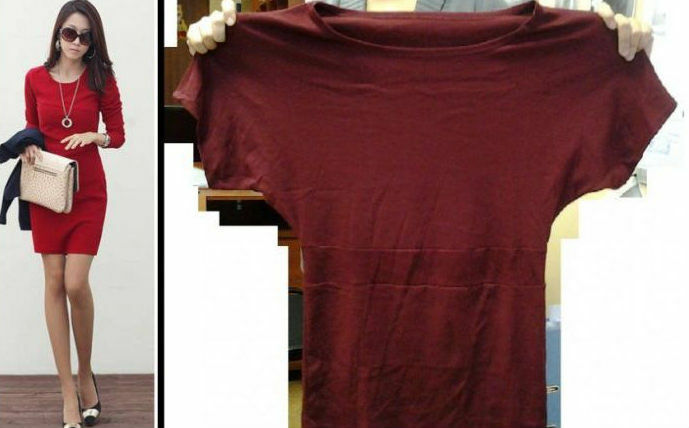 Check out these 15 hilarious online shopping fails. 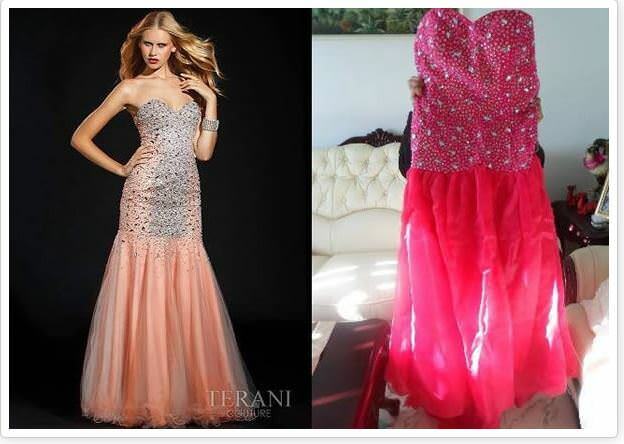 This dress was advertised to look absolutely stunning with elegant appliqué detail and a tight fitting skirt. 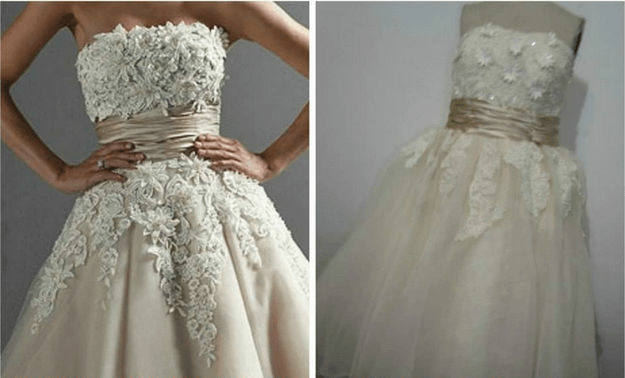 It is no surprise that when the bride to be ordered this beautiful gown online at a bargain price, she felt this buy was almost too good to be true. However, it was infact too good to be true as what arrived looks nothing like the ad! 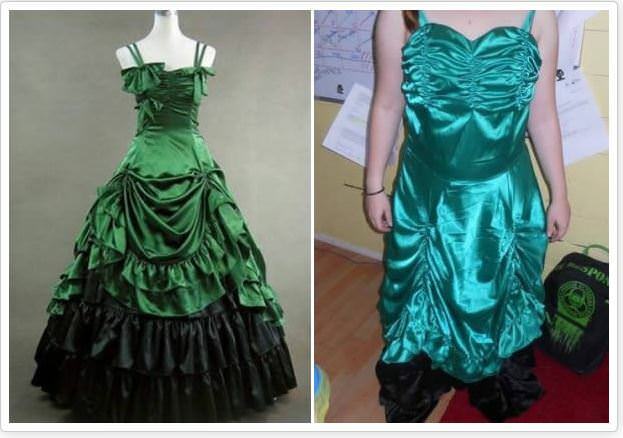 We’re guessing a refund was in order for this emerald ball gown! What looked like a figure hugging rushed dress turned up to be a boxy, frumpy dress that looked nothing like the original! This cheap 3 dimensional dress might of seemed like a bargain but the saying you get what you pay for really does seem true here. The quality looks terrible and floral dimensions look awful. 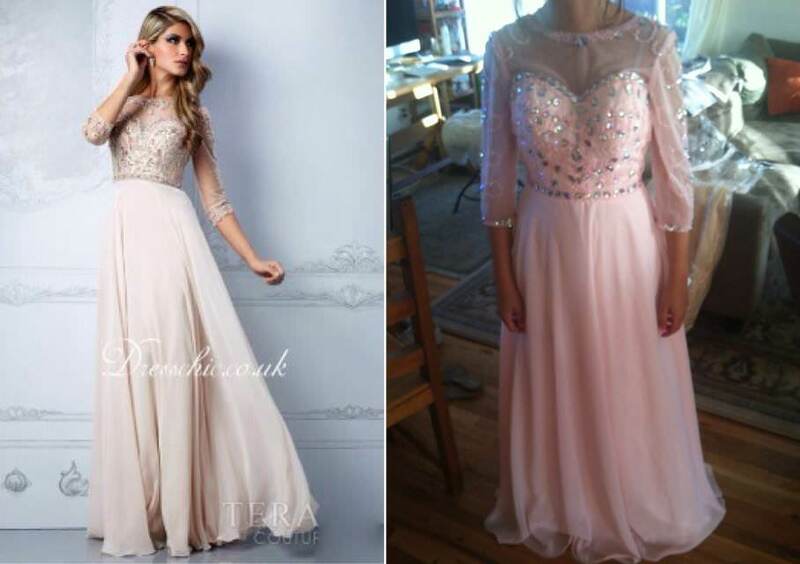 This dress will make any girl feel like a princess and when one customer bought this for their prom, they received a nasty shock. This is an epic online fail and ont only is it a completely different colour but has no shape to it either. The dresses with no shapes strike again! This little pink dress arrived with a wonky waist and dodgy floral detail. This long sleeve sparkle gown came looking dull and baggy! This is definitely an online shopping fail that doesn’t fit anywhere! If you’ve already started thinking about buying your winter wardrobe, steer clear from this duffle coat. On the model it looks comfy and loose but on the customer is looks restricting and does not fit at all! This classy black lace dress looks sophisticated and smart on the model but the customers dress resembles a bin bag with lace badly attached to it! To add to this the dress doesn’t even fit tightly like the model. 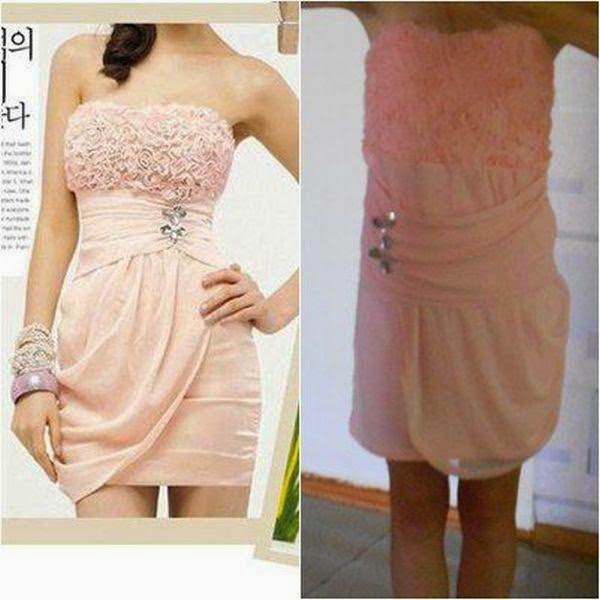 If you’re buying clothes for your children or sister, then be careful what you buy. 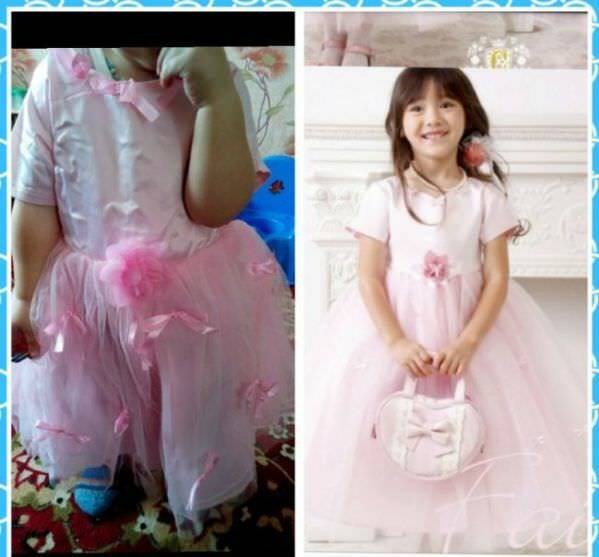 This buyer feel into the trap of buying this pretty pink dress but when it arrived it was baggy and looked nothing like the original. 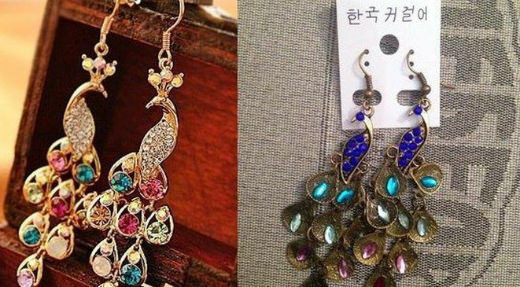 These pretty colourful peacock earrings turned up completely different colours, a completely different shape and in silver not gold! These were definitely not what was expected. This glamorous white long sleeve backless dress looks very elegant and glamorous but when it arrived, it was far from it. 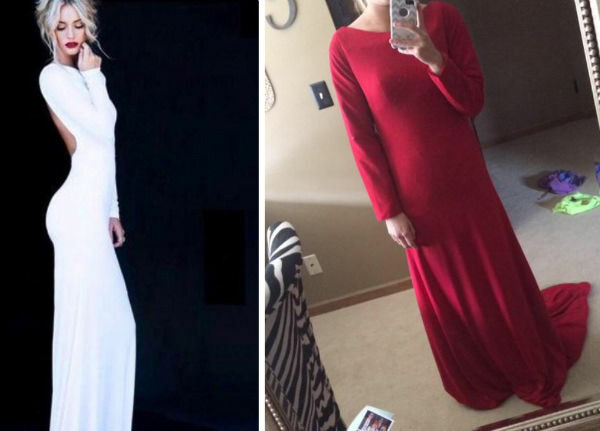 The customer received a red baggy dress that have no resemblance to the dress they ordered! 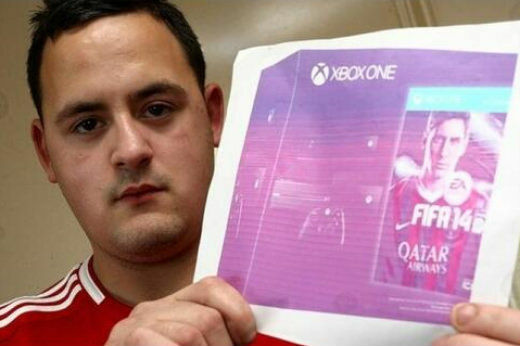 This poor customer spent a large sum to receive a print out of his highly anticipated Xbox One Fifa gaming console. This is a truly epic shopping fail and we really feel for this poor guy. 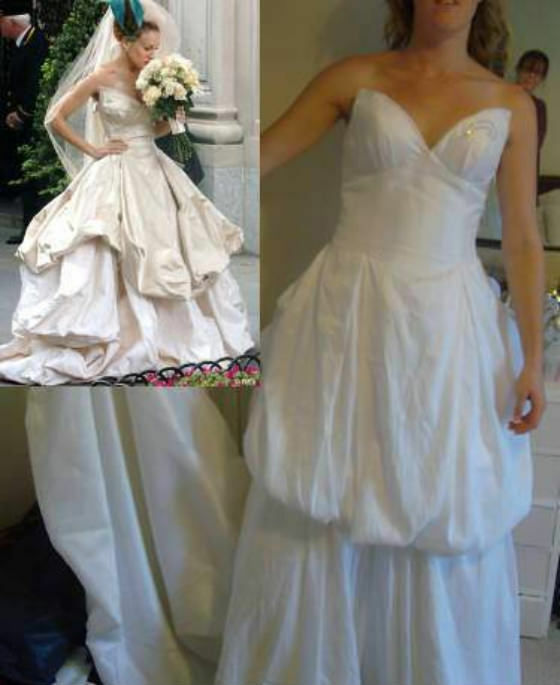 This designer looking wedding dress looks beautiful on the bride in the image but not so stunning on the customer. This shopping fail turned out to look much more like a marshmallow costume. 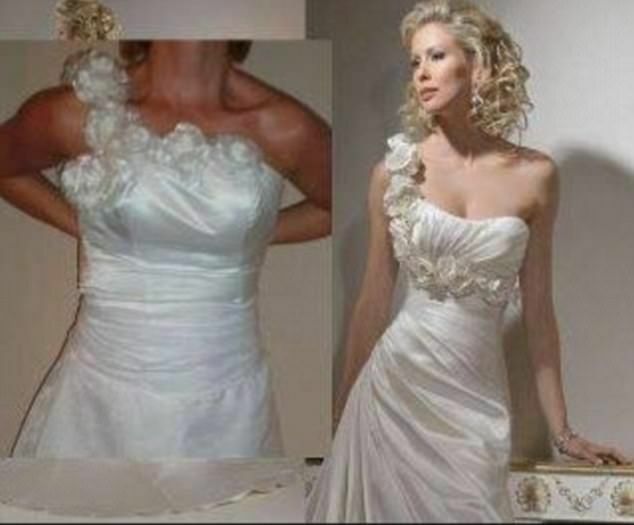 This poor buyer was looking forward to receiving a pretty one shoulder flower wedding dress that looks classy and summery, but instead she received a frumpy dress that was made completely wrong with flowers in a completely different place! This smart burgundy autumn dress looks classic and simple on the model but turned up looking like a huge t shirt. 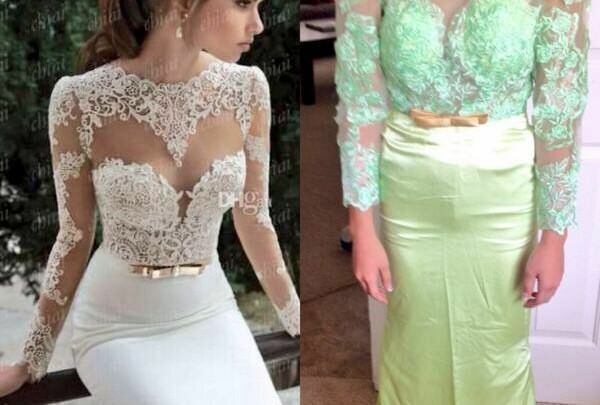 This is a huge shopping fail that is unrecognisable next to the original – oops! Next article15 Things You Will Remember if You Were Born in the 90s!